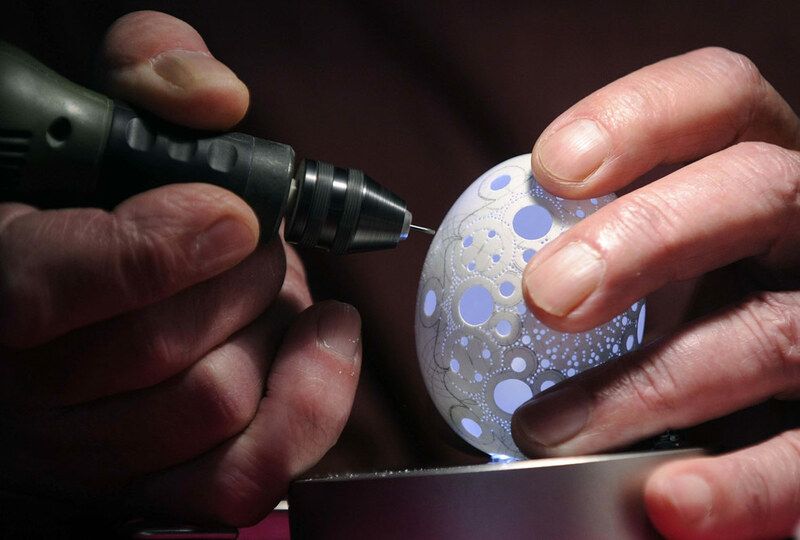 Using an electric drill Franc Grom drills an average of 2,500-3,500 holes in each shell. He must have one steady hand to perform this time consuming art. 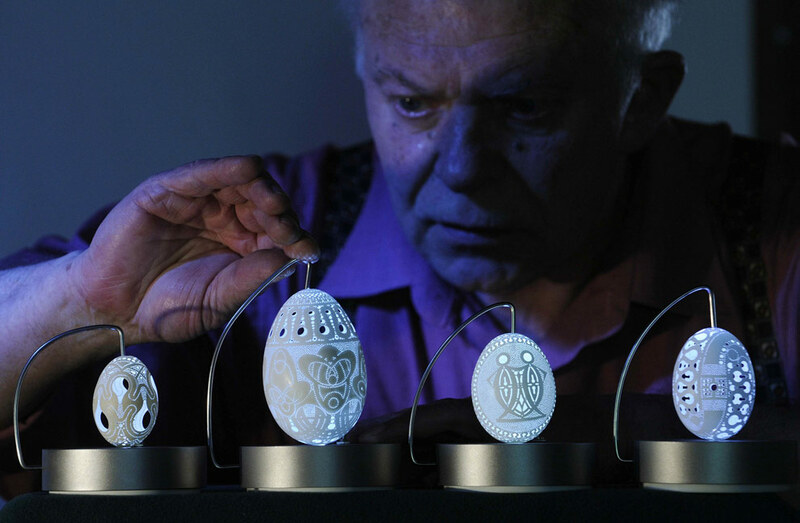 You are currently reading Franc Grom / Egg Art at PICDIT.